A quarter of children aged 5-14 years in Afghanistan are engaged in child labour (UNICEF). These children work in harsh conditions, without any safety measures to protect them from abuse. Seeking an income for their families prevents them from attending school. 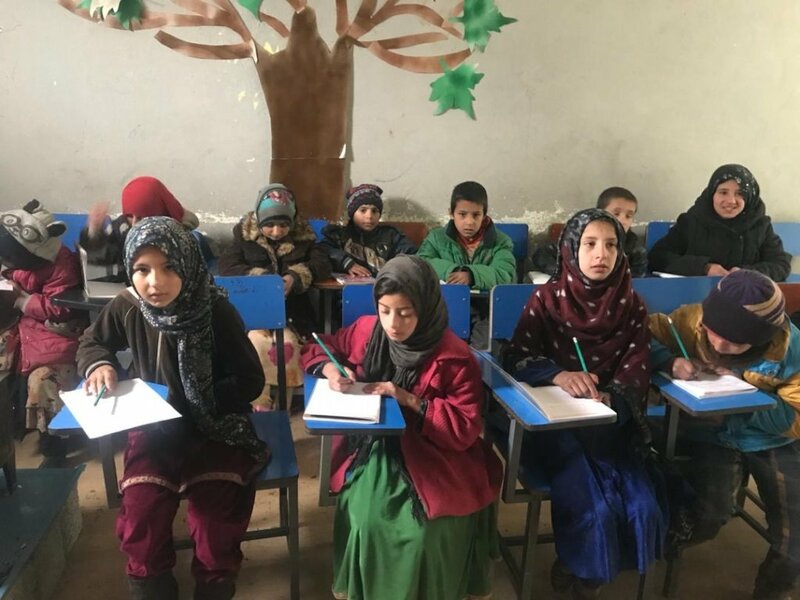 AfD's project 'Street Children Back to School' aims to give hope to the street children of Kabul by allowing them to attend a semi-formal school where they can learn the basic literacy and numeracy skills necessary to improve their lives. Decades of war has led to a nationwide breakdown of social and economic structures. Poverty is the main determinant of child labour. Many families have no choice but to put their children to work. A vicious circle of illiteracy and lack of skills for job opportunities is tied to the cycle of poverty, debt, vulnerability, and dependence. With severe security and economic issues facing the country, the Afghan government is currently unable to provide street children with the support they need. AfD aims to empower street children by providing them an education and building their self-esteem. The school uses a semi-formal teaching system, with games and activities, allowing the children to reconcile studies with their work on the streets. In addition to teaching, the school provides meals and access to basic healthcare. So far, 35 children have been enrolled into the program. With your support, AfD can enroll additional children, and give them a chance of a brighter future. All children who attend the program will gain knowledge and decision-making skills that will help them and their families leave the cycle of poverty. The children will have the skills to enable them to join the formal education system. The meals and healthcare provided will reduce risks of developmental problems and disease. AfD DOES NOT CONDONE CHILD LABOR, but views the empowerment of street children and families as a necessary step towards eliminating child labour in Kabul. sponsors 5 street children education for one year.